127 Acres! 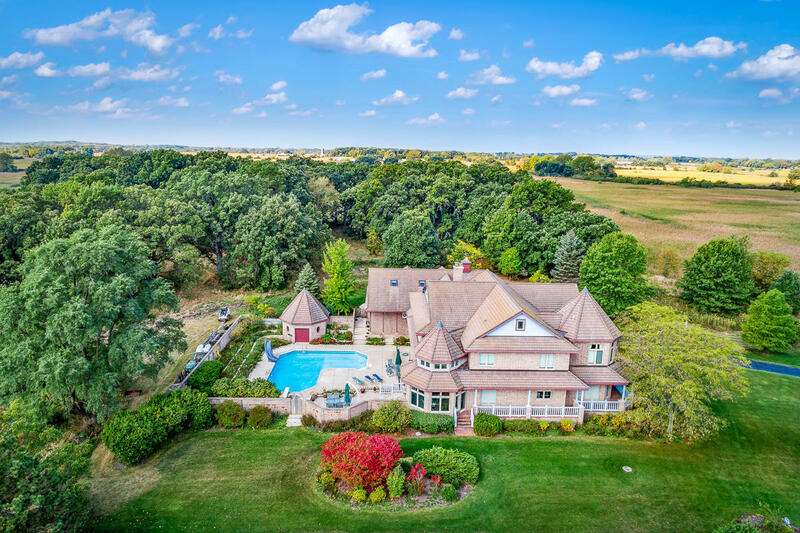 One of a kind home offers privacy and quality construction that straddles 2 counties. A gated entry leads down a path of a winding 1/2 mile tree-lined driveway. The home was designed for family, guests and comfort. All bedrooms have private baths and zoned heating, all floors capture a lot of natural light and views, a great place to call home. Separate 2 BR in-law suite or 2nd floor office overlooks several oak trees and has private access. Heated pool, and impressive finished lower level with fitness center. The home has 600 AMP electric service, gas backup generator, heated flooring throughout (several zones) on all levels, backup forced air heating. The elevator connects all floors, heated 6 car garage w/floor drains. The views & privacy are simply amazing..